Stephen Moore @StephenMooreStephen Moore, who formerly wrote on the economy and public policy for The Wall Street Journal, is a distinguished visiting fellow for the Project for Economic Growth at The Heritage Foundation. He was also a senior economic advisor to Donald Trump during the 2016 presidential campaign. Read his research.Andy VanderplasAndy Vanderplas is a special assistant and research associate in The Heritage Foundation's Institute for Economic Freedom. Yet these mandates will have almost no impact in cleaning the air or reducing greenhouse gas emissions.In Arizona and Nevada, voters will decide on Nov. 6 whether to adopt renewable mandates requiring local utilities to buy at least 50 percent of their electric power from green energy—mostly, wind and solar power. 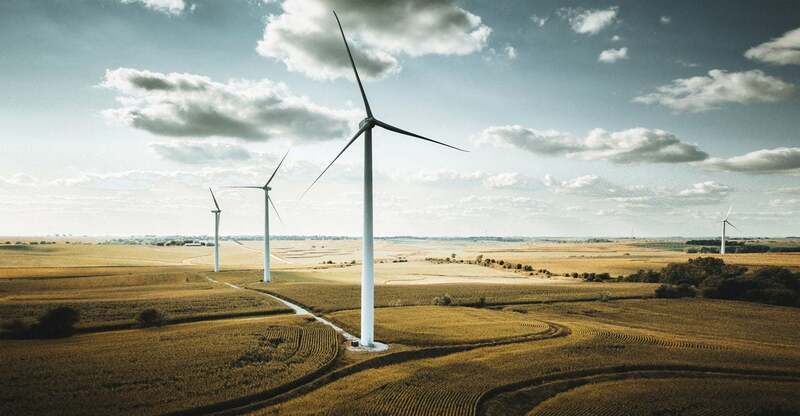 At least a dozen other states are set to ramp up their mandatory standards (also called “renewable portfolio standards”) in 2019. California is set to move to 60 percent legally mandated renewable energy by 2030 and 100 percent by 2045.These mandates come with a steep price to American families and businesses. Residents in states with existing high mandates must often pay between 50 percent and 100 percent more on their electric bills than residents of states where utilities are free to rely on the market and purchase electric power from the lowest-cost sources—often coal, natural gas, or nuclear power. Because lower-income households spend five to 10 times more as a share of their incomes on energy than do high-income households, high renewable portfolio standards are a regressive—and unduly burdensome—tax on the poor.Ironically, these green initiatives are usually sponsored by billionaire liberal funders, such as investor Tom Steyer of California.While the natural growth of renewable energy sources is a positive development, mandates are an economically disastrous method that crowds out the market for affordable electricity. Given the massive federal subsidies of more than $150 billion between 2009 and 2014 to the wind and solar industries, that is an amazingly small percentage.Comparing the states with the most stringent renewable portfolio standards (25 percent or more) with the states with low ones (10 percent or less), and then with states with none, reveals a pattern. States with high renewable portfolio standards have electric power rates that are about 27 percent per kilowatt hour more expensive than states with low ones, and about 50 percent higher than states without them.The Heartland Institute estimates costs could total an extra $1,000 per year per household, compared with current electricity costs, at the proposed rate increase in Arizona. This could mean tens of thousands of dollars of higher costs for a business, depending on energy usage. For manufacturers, it could mean $100,000 or more of extra costs.Lower-income families would be most adversely affected by stricter green energy requirements. This is because poorer households typically pay about seven times more as a share of their income in energy costs than do wealthier families. Middle-class families pay at least twice as high a share of their income in energy bills than do the rich. One of the critical flaws of renewable energy requirements is that they almost all squeeze out two of the most dominant and cleanest forms of energy used across the country—natural gas and nuclear power.But from an environmental and clean air standpoint, and for the purposes of reducing greenhouse gases that may be linked to climate change, this distinction makes no sense.It appears simply to be a multibillion-dollar corporate welfare giveaway to the solar and wind industries at the expense of ratepayers. Even coal that is burned in Arizona, Nevada, and other states is much cleaner today than it was 20 or 30 years ago. All of this is evidenced by the dramatic improvement in air quality nationally over the past 35 years.Only a small percentage of this clean air progress is due to renewable energy, because over most of this period, wind and solar power have been fairly inconsequential sources of U.S. energy production. Since 1980, total emissions of the six principal air pollutants have fallen by 67 percent.To put that in perspective: That reduction occurred amid a dramatic expansion of the U.S. economy. Gross domestic product increased by 165 percent, vehicle miles traveled increased 110 percent, the U.S. population grew by 44 percent, and energy consumption increased by 25 percent. For these reasons, the “clean energy” initiative is best thought of as a regressive tax imposed on those who can least afford it.Again, this “tax” could cost middle-income and lower-income American families about $1,000 more per year in utility prices. These mandates could also negatively affect business productivity and move jobs to areas with more energy choices. Do you pay your credit card bills in full each month?